SPACE STATION NATHAN: The Narnia Covers Wrap-Up! Oh Boy. Google day has come at last. This was fun. The real images brought back a lot of memories. Let's grade my memories! I hope you've enjoyed this trip down memory lane. The original cover artist is named Roger Hane. He did these covers for Macmillan-Collier in 1970. The sad part is, he died four years later, during a botched mugging in Central Park. He was only 36. How's that for ending on a sad note. I give him the honorary title of, "Favorite Cover Artist of my Childhood." A brand new thing starts tomorrow. Weighting all your covers equally, that's a 2.763 GPA. Not great, but enough to keep many federal scholarships! Though if you wanted to weight them differently based on how much time you spent on them, you might get something different...here is a handy dandy calculator I found! That's very sad about the cover artist! Oh, and good job. I'm very impressed with how well you remembered things. That was fun! Thanks for the walk down memory lane. I love that series and had the same copies in my home growing up. 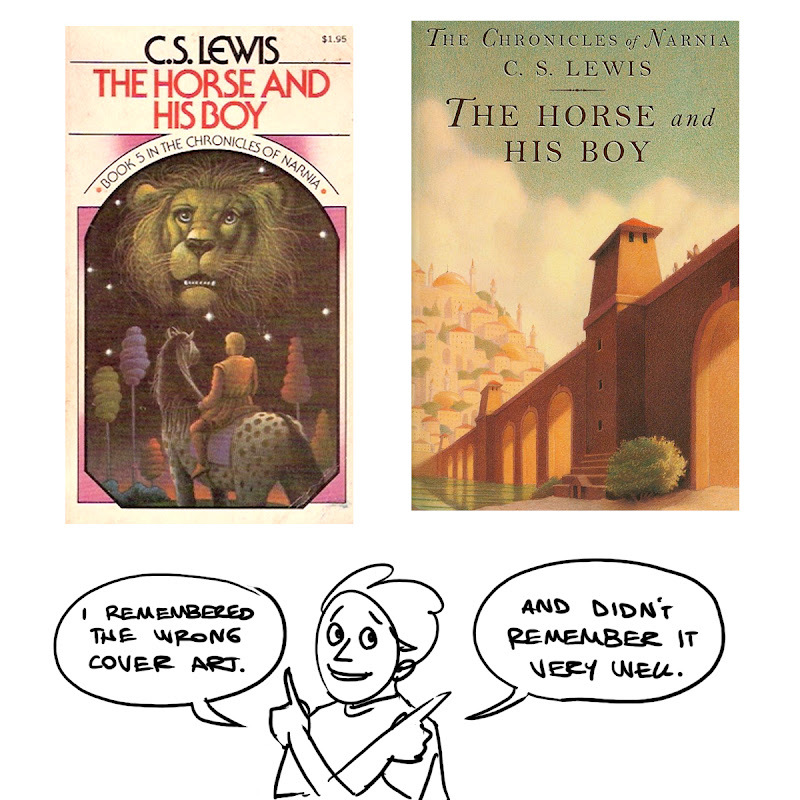 I'm amazed at how much you were able to remember about the covers. Cool stuff, Nate! I would love to see you do the Prydain covers. If I had any artistic skill I think I could recreate them pretty well. Ryan, I seriously considered doing a Bonus Round for the cover of The Book of Three--the one with the crazy skull-faced Horned King. 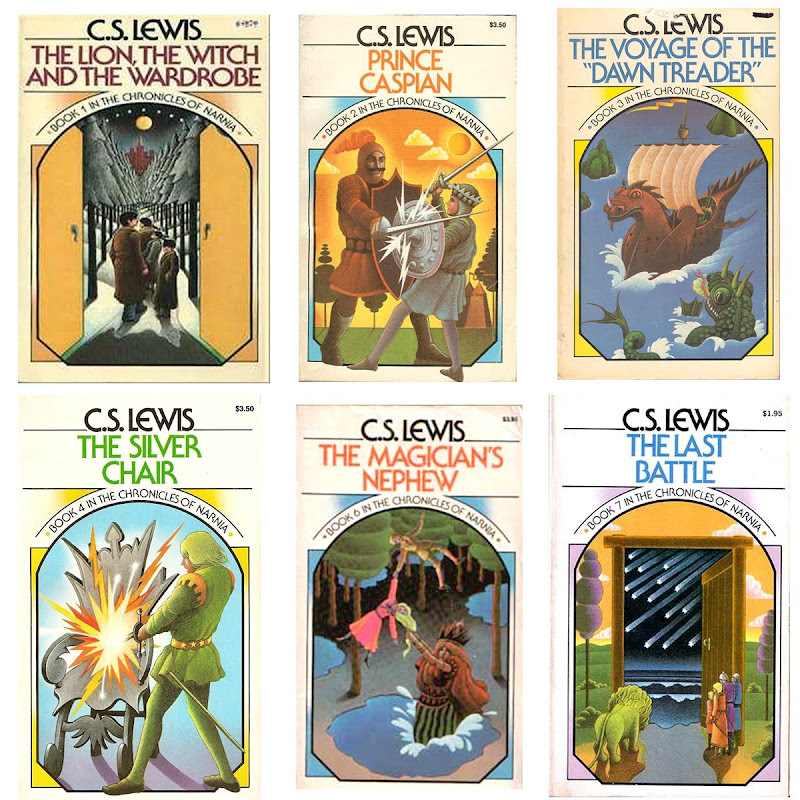 The Narnia covers were my favorite series of covers, but that single cover may be the winner for best cover EVER.